Astrid Suchy-Dicey is an epidemiologist with career interests in chronic and aging-related disease and minority populations. 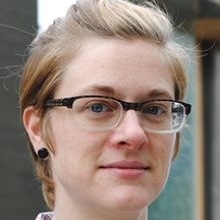 At the Washington State University Elson S. Floyd College of Medicine, she aims to understand complex disease systems, particularly those involving metabolic and dynamic disturbance of biological functions related to the blood. Other work addresses the etiology and long-term outcomes of diabetes, kidney disease, and cerebrovascular disease, with a special focus on neurodegeneration. She is the Co-Investigator and Project Lead in the UW ADRC Satellite Core, which aims to characterize longitudinal prevalence, incidence, and associations among risk factors, brain abnormalities, cognitive function, and probable Alzheimer’s disease in American Indian elders that participated in the Strong Heart Stroke Study (SHSS) in Oklahoma, South Dakota, and Arizona. Her research addresses the etiology and long-term outcomes of cardiovascular and cerebrovascular disease, diabetes, and kidney disease, with a special focus on neurodegeneration from vascular and Alzheimer’s disease in American Indians. She is applying her experience in chronic disease epidemiology to examine how conventional risk factors for Alzheimer’s disease contribute to neurodegeneration in this high-risk minority population. Her long term research goal is to develop an understanding of how population variability in endogenous risk factors contribute to premature aging. Epidemiology of chronic diseases related to aging; Complex systems of balance in human physiology; Health disparities in U.S. minority populations.